Addemar Support Knowledge - Can I lookup contacts based upon a certain field? I have a contact file with just one certain field, for example the contact customer cardnumber. Can I do a sort of lookup import to group these people? The lookup import features enables you to look up if contacts, specified by a certain field that you give via a source file with 1 column where values of a contact field is specified, are present in the current contact list. All contacts that are present can be added to a group the rest can be downloaded in a csv if the lookup is finished. We have added a functionality to our import module.The feature needs to be activated so take up contact with our support and/or your account manager. We have created a file where we want the field "Voornaam" to match on the values "Jo" and "Jan". 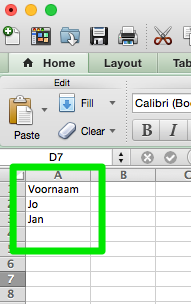 The lookup import will use these two values and see which contacts have a "voornaam" like "Jan" or "Jo". Navigate to Segment - Contacts and click the import button. Select the lookup import option and browse towards your 'data' file. Select in which contact group you would like to import/place the matched contacts. 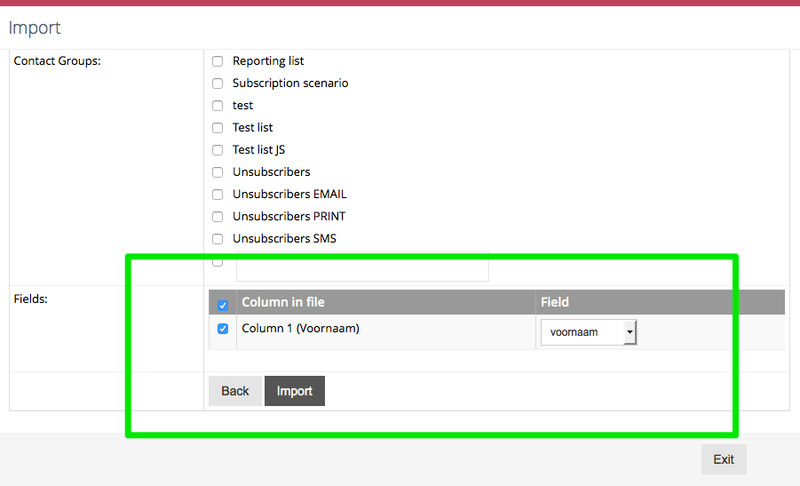 Match your data file 'entry' upon a known 'field' in your segmentation database. When you have selected the correct contact group and the field to which the lookup needs to be done. When the import is finished you'll notice that the lookup ( in our example ) has matched with three contacts which had a "Voornaam" like in the data file.